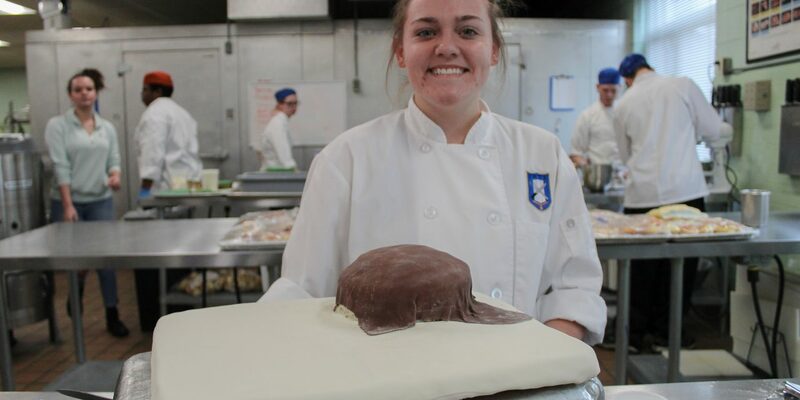 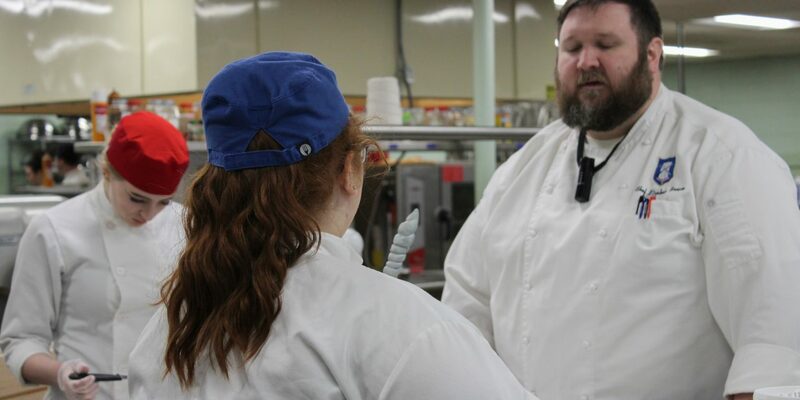 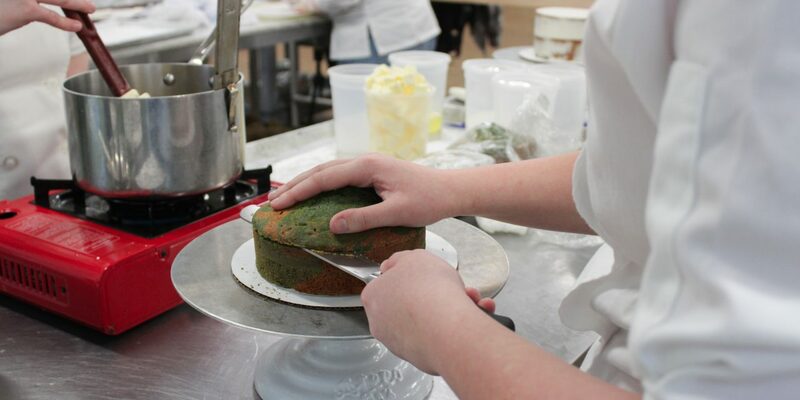 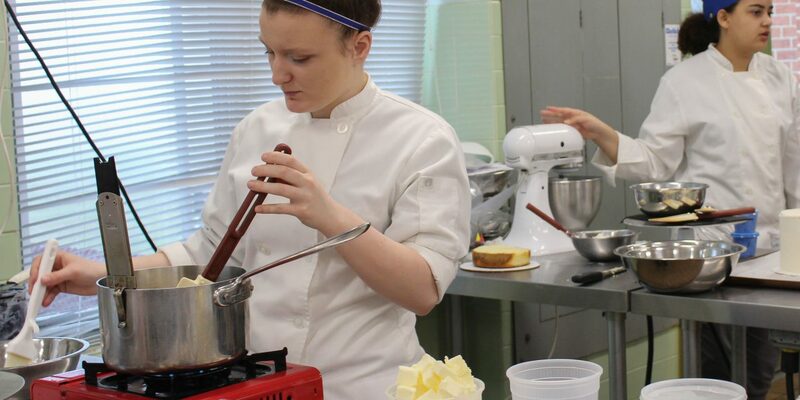 The ProStart program had to bake, make, and design a cake that satisfied an imaginary customer’s needs. 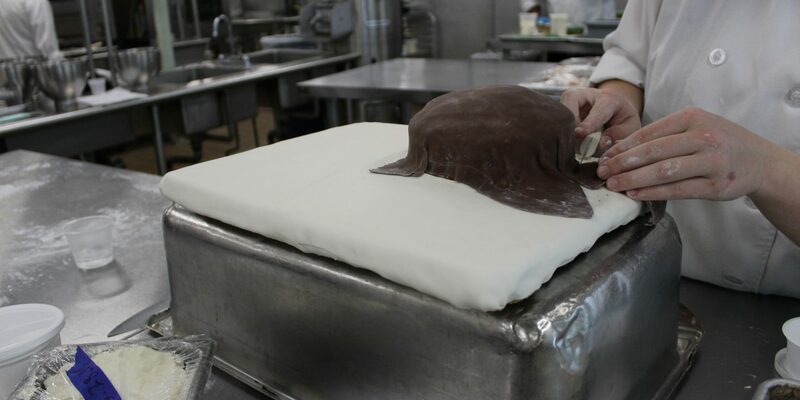 They had to follow certain requirements, but for the rest of the cake they were allowed to have creative freedom with it. 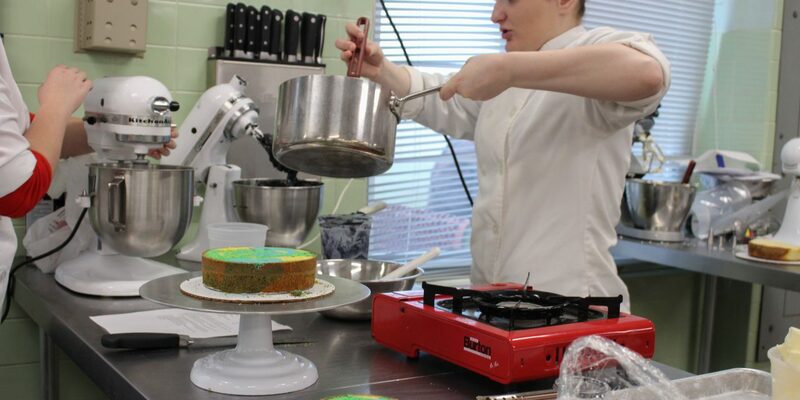 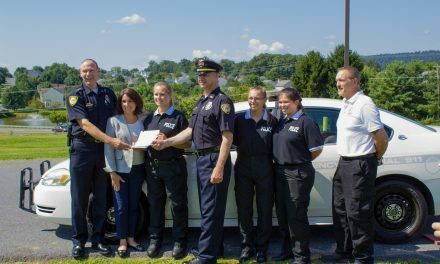 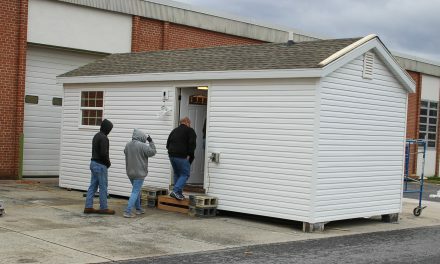 Different themes were chosen for the students, examples such as a little boy’s birthday, a sweet 16 birthday party, or a baby shower. 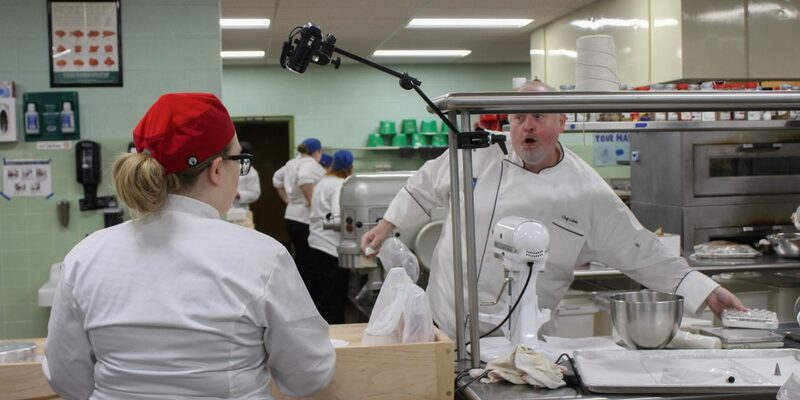 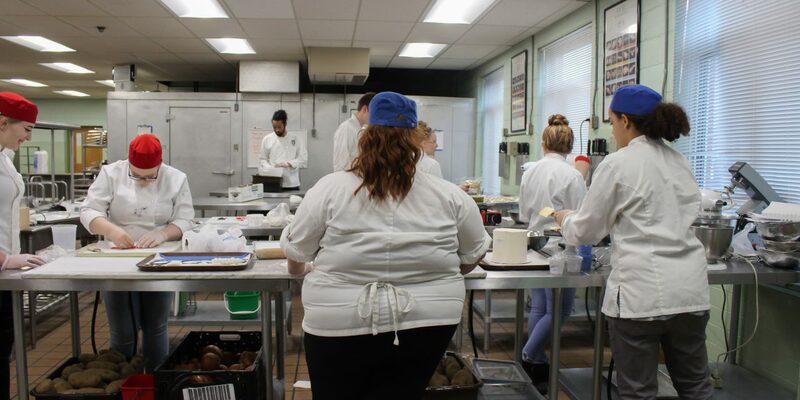 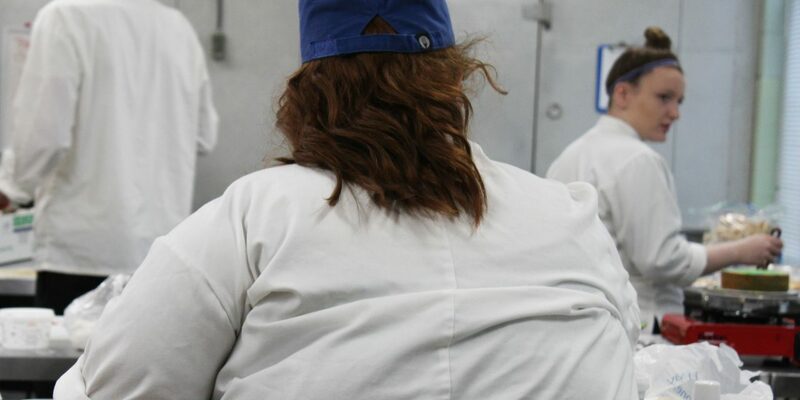 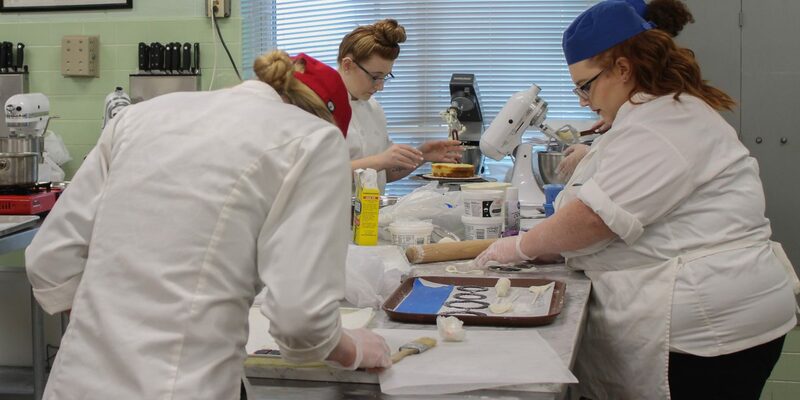 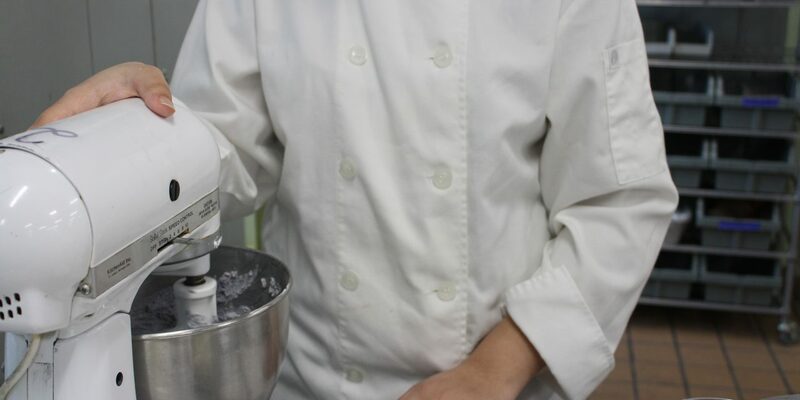 Within four days, the students must finish the cakes and turn it into the chef for a grade. 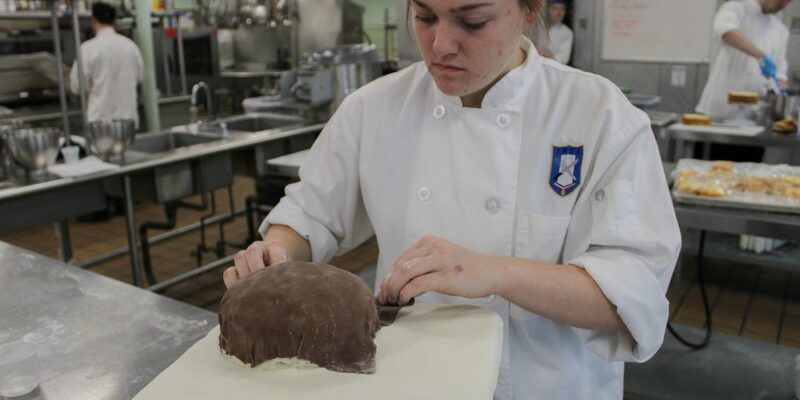 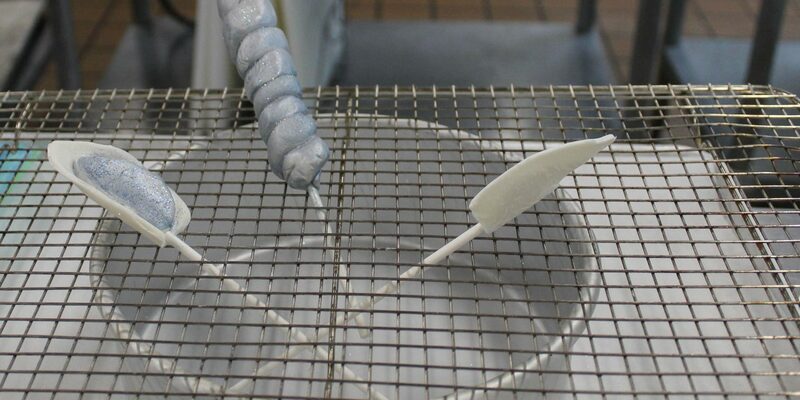 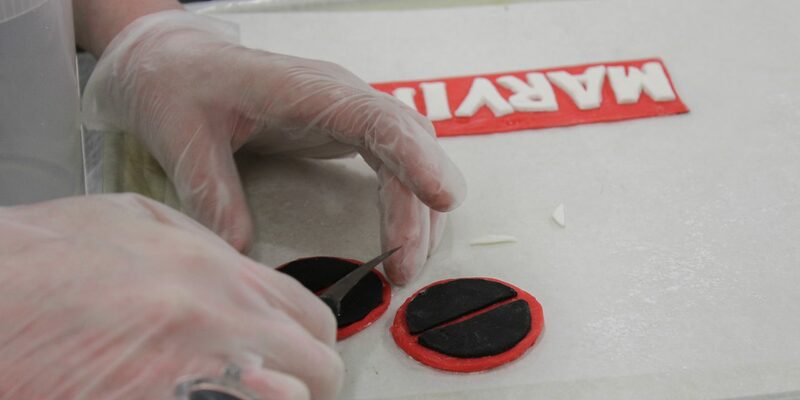 The Cake Design Project allowed students to develop their skills for cake decorating. 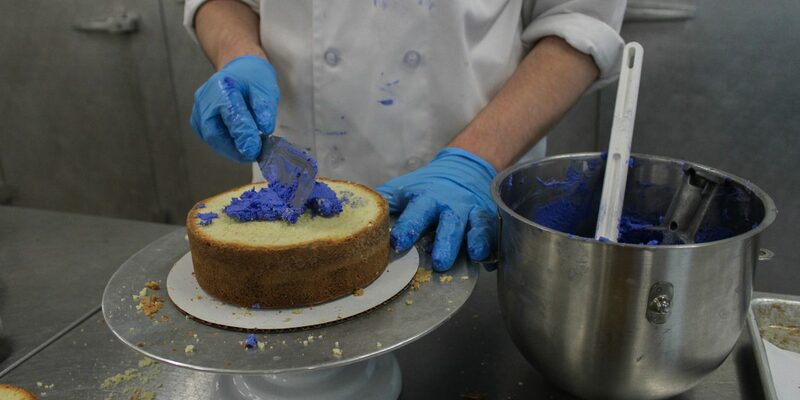 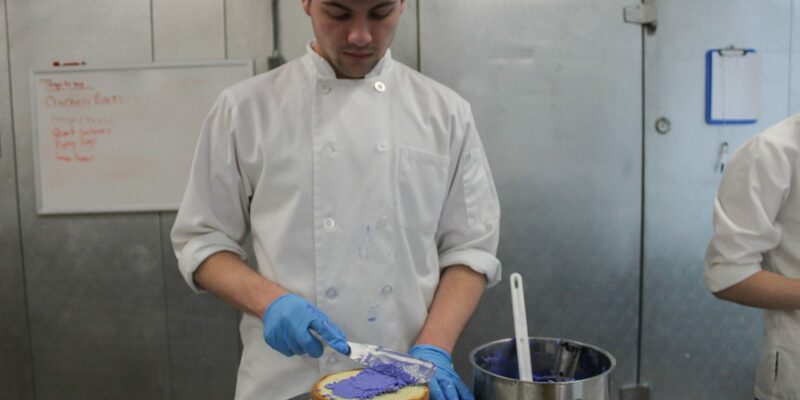 A student said they were “given a scenario to make a cake using talents as long as it’s within the guidelines.” Tools were provided for students to create the best product that they could, such as food coloring, fondant, pastille, gum pastes, marzipan, chocolate for shaving, and nuts. 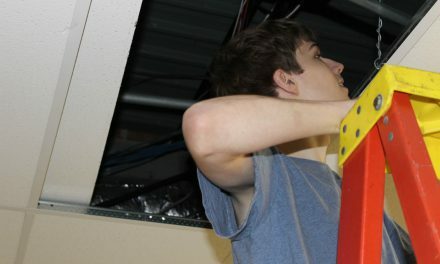 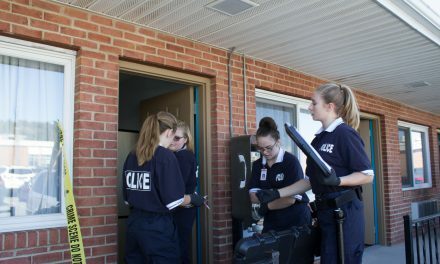 The students seemed determined to tackle the task at hand and seemed to be working confidently!